There's a tamarack swamp on a stretch of road that we drive to visit my family. 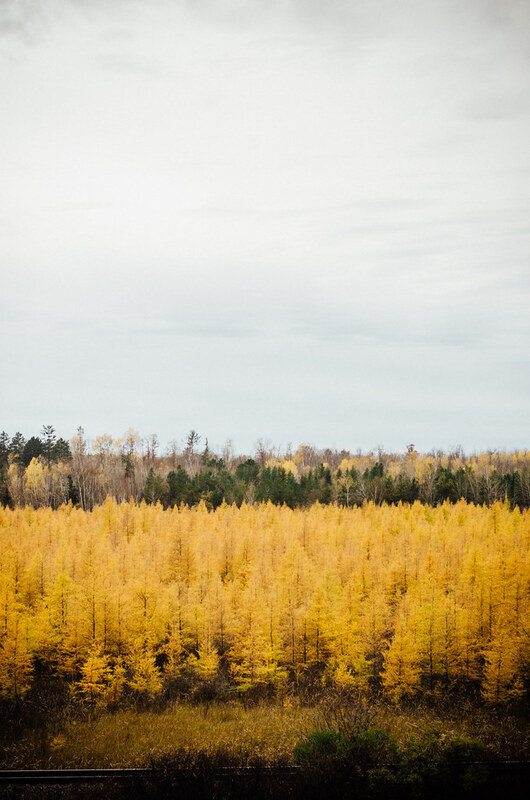 Every fall, it's a stunning wash of yellow. I always want to capture that beauty, but photos taken from a car going 65 are never any good. So this year I asked Reuben to pull over so I could snap a few photos. I hurriedly pressed the shutter as cars whizzed past. And we were on our way. It was worth the fear of getting into trouble. I kinda wish it would have been a sunny evening instead of a cloudy afternoon, but I quite enjoy the moody feel. Beautiful photo Erica Lea! I've never heard of Tamarack; as we probably don't have it in southern California! Wow! I can understand why you've wanted to photograph this area. It's so gorgeous!